Studies show that children who learn how to play music or who have an appreciation for music have higher scores on standardized tests and have a higher IQ. 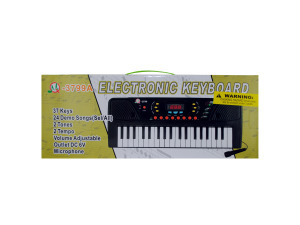 Instill a love of music in children with this keyboard. 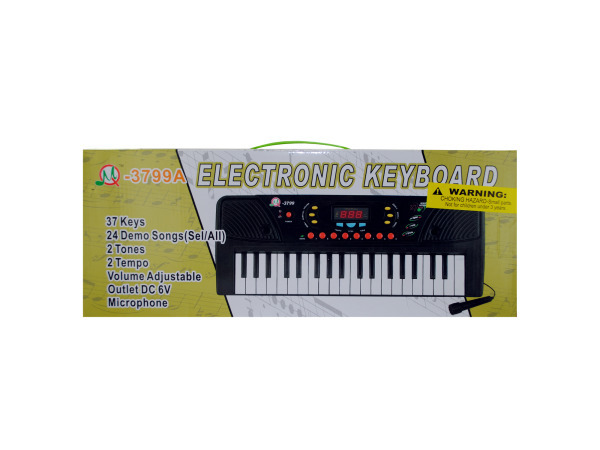 Features 37 keys and plays 24 demo songs. Includes a microphone so kids can sing along with the demo tunes or with their own song. Requires 4 "AA" batteries (not included). Comes packaged in an individual box. Box measures approximately 17" x 2.5" x 6.75".